Whilst Compass Associates Portsmouth HQ were hosting their charity day, our Manchester office held their own day of fundraising for Target Ovarian Cancer. Target Ovarian Cancer are the UK’s leading Ovarian Cancer charity. Money raised goes towards improving early diagnosis, research into treatments and providing support to those diagnosed with ovarian cancer. The team hosted a bake sale including a chocolate cake, red velvet cake, flapjacks, Victoria sponge cake, Madeleines and vegan oatmeal and raisin cookies and marmalade cake. The team also held a “guess the number of sweets in the jar” competition. The 19th National Care Awards 2017 were celebrated with a fantastic gala dinner and celebration at the London Hilton Metropole on Friday 24th November. Writer and comedian David Baddiel took care of the evening’s proceedings, celebrating the incredible work of individuals and business within the care sector. 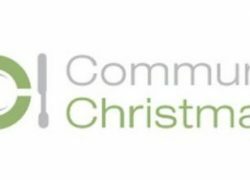 For the fifth year in a row, Compass Associates were delighted to sponsor the Care Operations Manager award category. The award was presented to Louise Barnett of Balhousie Care Group. Congratulations to Louise and all the winners and award nominees. 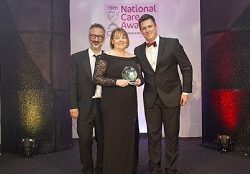 Sam Leighton-Smith, Director of Healthcare comments: "It was our privilege as always to partner with Caring Times at this, their 19th National Care Awards. It is quite comfortably the best social occasion of the year, celebrating every level of the care system and saying thank you to the unsung heroes who treat the most vulnerable in our society. As sponsor of the operations manager of the year I had the pleasure to present to winner, Louise Barnett of Balhousie who I know first hand strives for excellence in everything she does. A huge congratulations to her and her team. We look forward to continuing our alliance with Caring Times and being associated with one of the most fulfilling sectors in the country."